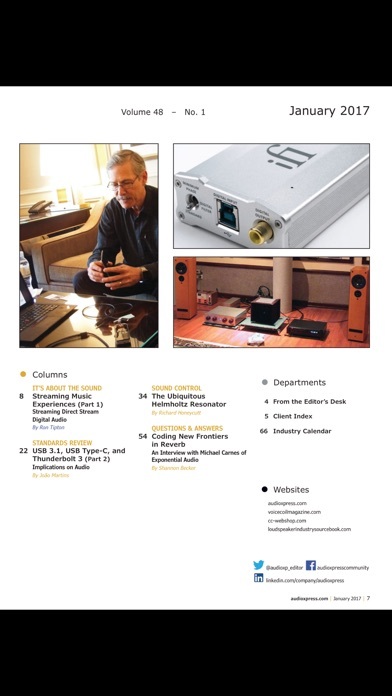 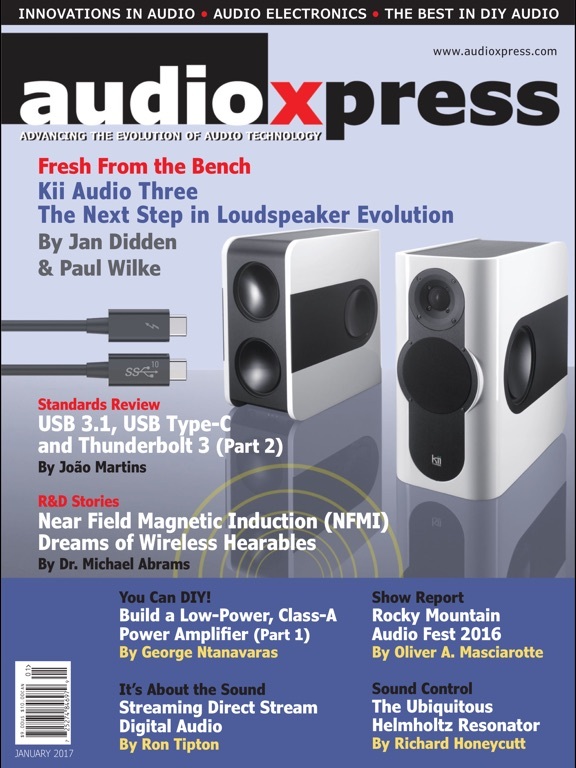 audioXpress magazine is an authority on audio and reproduced sound, connecting manufacturers and distributors with buyers and consultants around the globe! 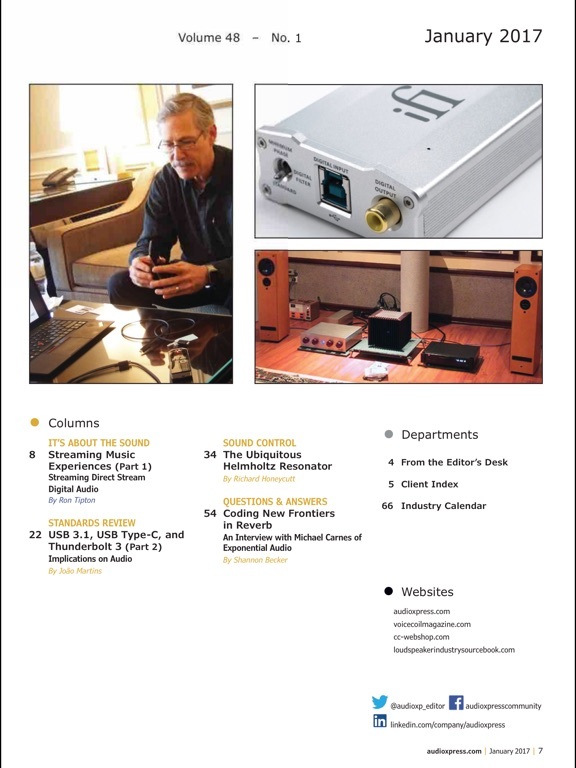 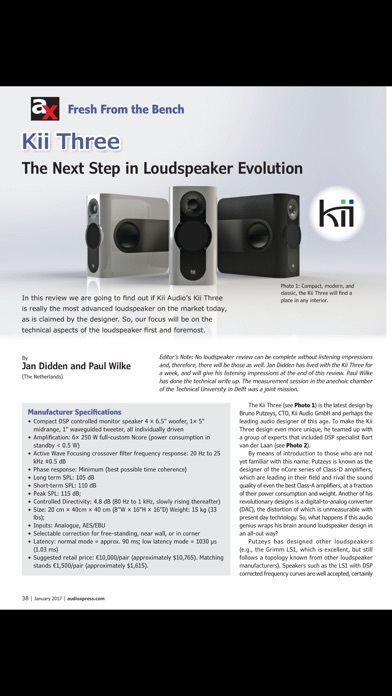 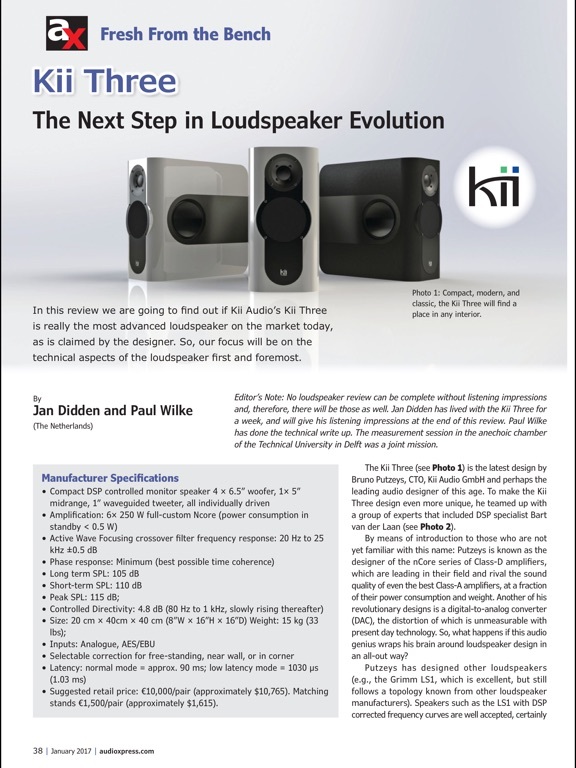 Its readers include DIY enthusiasts, product designers, consultants, integrators, opinion leaders, and audio professionals. 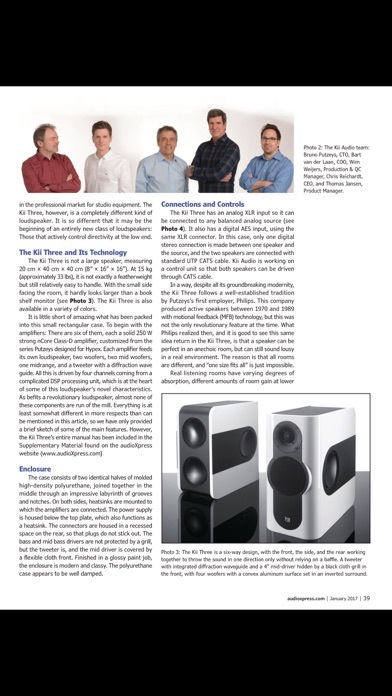 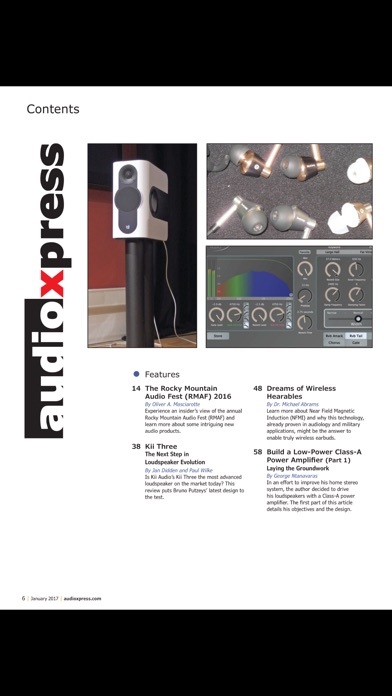 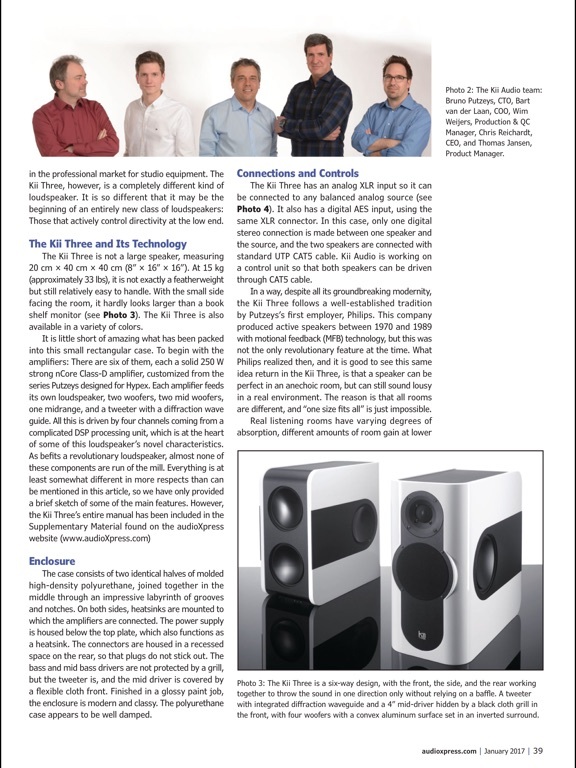 Showcasing innovations in audio electronics, electro-acoustics, audio networks, and software design, as well as its increasing coverage of trending topics make audioXpress a must-read. 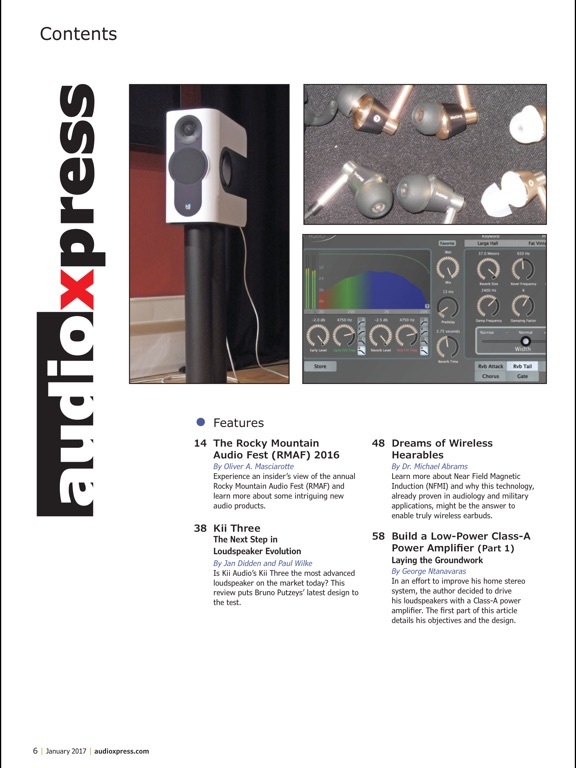 Each issue of audioXpress is filled with information pertinent to the audio industry, including pro, consumer, and commercial applications, reviews of technology trends and standards, digital audio networks and wireless audio innovations, test and measurement techniques, acoustic and electroacoustic science, articles about the latest technology in mobile platforms and microspeakers, as well as industry news and some amazing DIY projects, tested by our own audio enthusiasts.